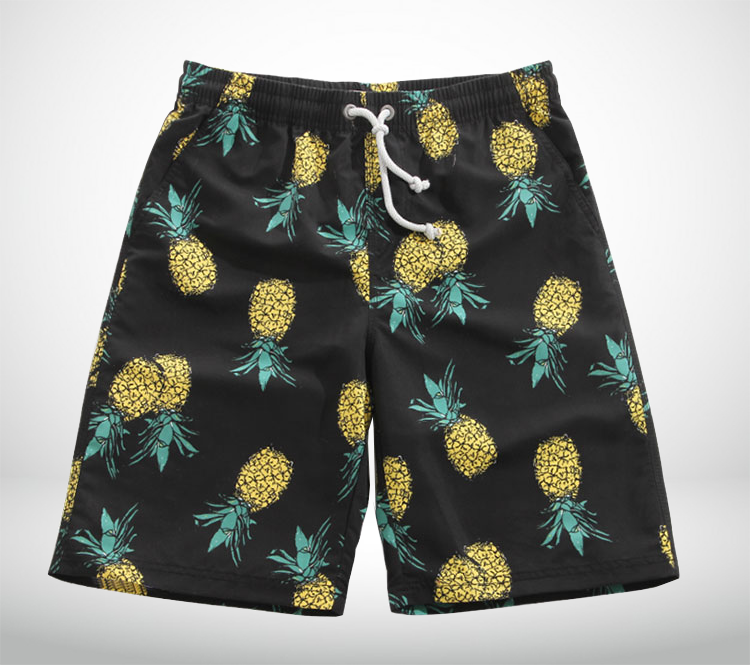 These quick drying pineapple shorts are a must have for the season of fun - summer. 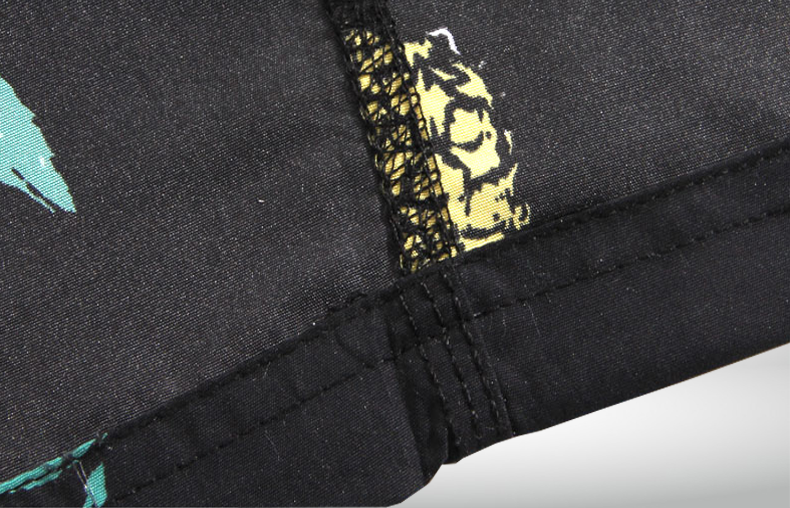 These pickups boast vibrant pineapples, designer, creative, and all. 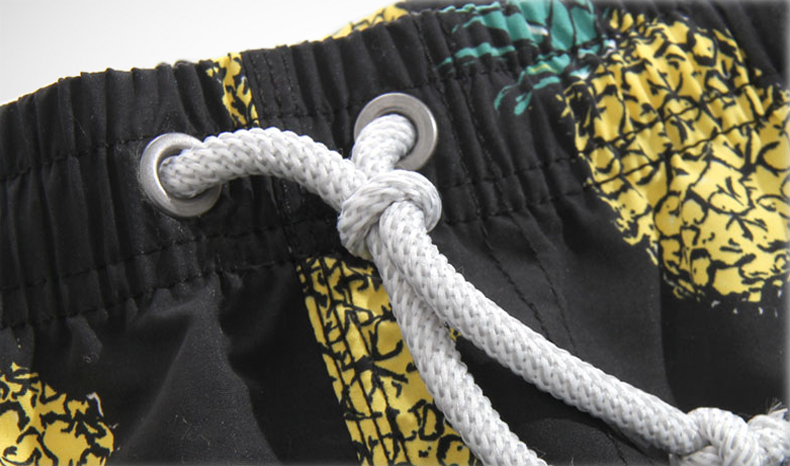 The length of the shorts are perfect to be able to wear these as both board or casual shorts. 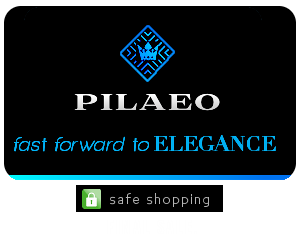 The modern selection of mens floral shorts at PILAEO and these pineapple print designs go to show just how fashion forward you can and should be. Timeless style starts with art that expresses emotion, and these shorts signify fun, creative, art - the exact qualities to show during a summery vacation. 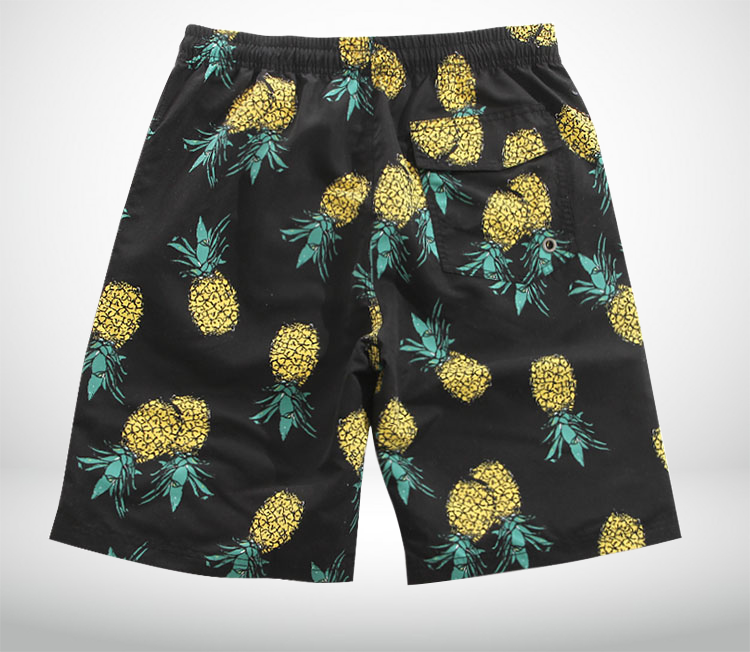 and these pineapple print designs go to show just how fashion forward you can and should be.